We've included listings for companies such as Connecticut Soapstone and Trend USA Ltd. inside our Granite Counter Tops guide. California company specializes in pre-cut granite for vanity and kitchen countertops. Manufacturing and sales of products to clean and restore marble, travertine, granite, limestone and other types of stone. Online store for kitchen and bathroom plumbing and fixtures including ADA compliant showers, tubs and toilets, faucets, and sinks. 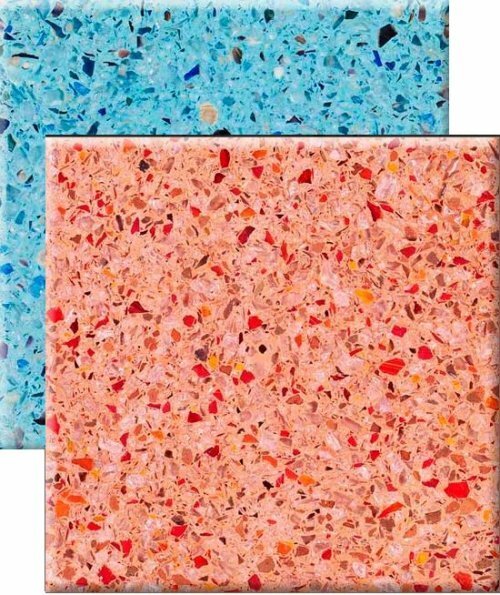 Jewel-like terrazzo countertops produces from recycled glass. 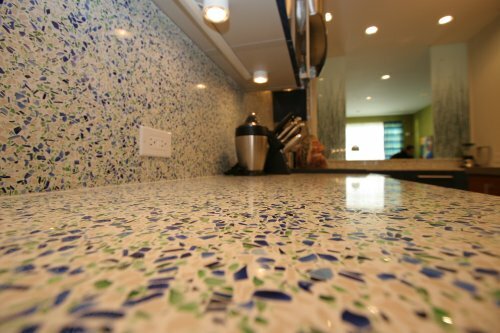 Recycled glass and concrete make for a countertop as tough as natural stone.